Nicely upgraded beach home within walking distance of shops, restaurants, beaches, Cedros Design District and train station. Solar panel electrical system for super low electric bills.Each bedroom suite has its own bath. 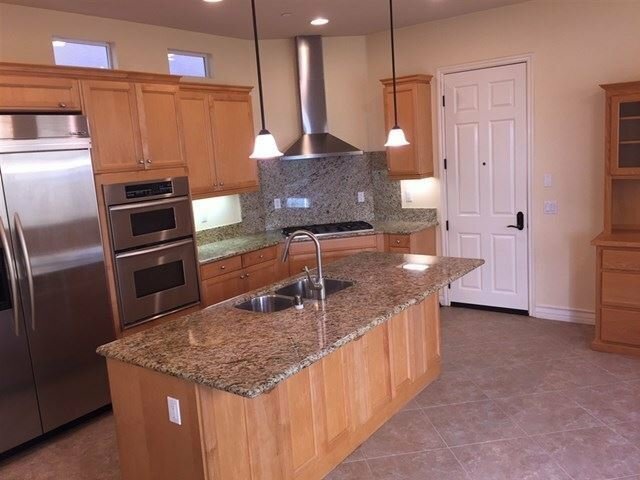 Tiled floors downstairs, slab granite kitchen counters with stainless appliances. Newer carpeting upstairs, air conditioning, added ceiling fans with lights in all rooms. Master bedroom even has ocean views.Bright floorplan includes entry level powder room. Two-car attached garage with extra storage.